For use with sealants and caulks. Gives a professional finish to 16 different profiles. Cramer Fugi Profiling Tool Set 16 Shapes (3 Piece) is rated 4.6 out of 5 by 31. Rated 1 out of 5 by Tamer from Overpriced I found this product very poor value. Rated 5 out of 5 by Pete1969 from Work well! These work well with a bit of practice! Rated 5 out of 5 by Shifter from Must have tool Expensive for what they are but makes the job so much easier so worth the price. 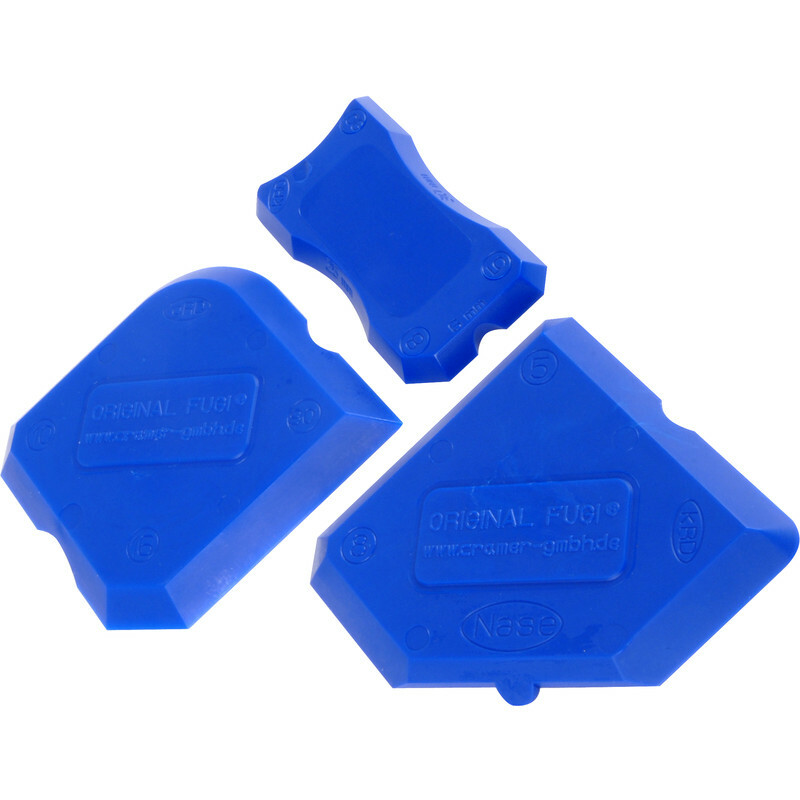 Rated 4 out of 5 by Spunky from Fugi silicone profiling tool Cheap & basic...but an excellent tool !! Rated 5 out of 5 by pb41 from Great set Finally bought a set of these profilers after years of using a wet finger. So much better and neater than a finger! Gives a nice smooth regular bead and can also be used to scrape off any overspill. Wish I'd bought these years ago. Rated 5 out of 5 by shed_bloke from Simple with outstanding results! A new bath I installed to existing tile surround presented gaps of varying size and angle to be sealed watertight. I was able to select an appropriate width of corner bead and complete the task swiftly; then ,using the 90 degree edge to squeegeed away any excess easily, leaving a perfectly finished clean job. Forget pfaffing with tape,soapy water, fingers etc & leaving a film that peels up when cleaned. The scannable instruction video is succinct & to the point. Overall an excellent product performs as promised. Rated 5 out of 5 by MickP from Essential for a quick, tidy sealing job These tools make very quick work of a tidy sealant job and the type of plastic mean the clean up really easily themselves. Professional finish with very little practice. Quite expensive, but worth it for a neat job you'll be looking at for a long time to come.